The world's second biggest diamond is also a big disappointment -- at least on the auction block. Sotheby's failed to find a buyer for the 1,109-carat uncut stone, dubbed the Lesedi La Rona, which had been expected to fetch at least $70 million. 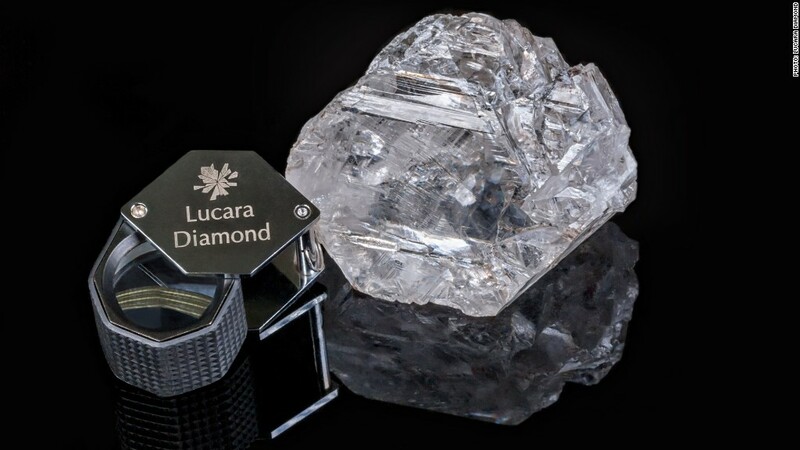 Although there were some bidders at the Wednesday evening auction in London, none of them met the undisclosed minimum price set by the seller, Lucara Diamond Corp (LUCRF). "Every aspect of tonight's auction was unprecedented," Sotheby's (BID) said in a statement: "No one alive today has ever seen a gem-quality rough diamond of this incredible scale, and no diamond -- polished or rough -- has ever been estimated at this price level." The previous record for a rough gem was set last month, when another massive 813-carat diamond, The Constellation, sold for $63 million. Shares of Lucara, the Canadian mining company that unearthed both diamonds, have more than doubled in value since the discovery of Lesedi La Rona. But the stock tumbled 9% in New York trading on news of the failed auction. This is the second London auction to sputter since the UK voted to leave the EU on June 24. The news sent the value of the British pound down about 10% since the vote. At a London art auction held Monday at Phillips, 32% of the items went unsold. And some that did sell fetched a lower-than-expected sales price. The Lesedi La Rona was found in November in Botswana. Its name means "Our Light" in Botswana's Tswana language. It is the size of a tennis ball, and is too big to fit into a conventional scanner used to evaluate a stone's potential worth. The only larger diamond on record is the 3,106-carat "Cullinan Diamond," found in 1905 in South Africa. A cut of that diamond, known as the "First Star of Africa," now is part of British royal family's crown jewels.